Marietta, Georgia, September 14, 2017, Recent studies have declared the need for changes in Healthcare Supply Chain Management. Improving supply chain processes will allow clinicians to spend less time looking for and managing inventory, and more time with patients. According to the Cardinal Health Hospital Supply Chain Survey, nearly one-third of respondents haven’t implemented a new inventory management system in at least six years, and another 25 percent don’t know if it’s ever been done. In fact, 78 percent are manually counting inventory in some parts of their supply chain and only 17 percent have implemented an automated technology system to track products and inventory in real time. 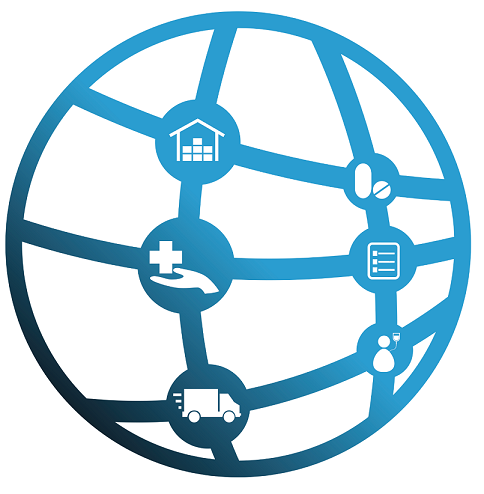 Synthium Health has been developing and operating an innovative approach to Healthcare Supply Chain Management. They have created a platform that will utilize blockchain technology and offer a Synthium Cryptocurrency Token making all token holders stakeholders. Recent press coverage describes this Token Generation Event as the World’s First SEC Compliant Blockchain Enabled Cloud-Based Healthcare Supply Chain Management Solution. This is significant in that the SEC has certain “tests” that a token offering must pass in order to be SEC Compliant, and avoid future legal problems. Synthium will issue tokens, symbolled as SHP that will be used to transact business on the Synthium Health Platform, and can be stored in Synthium’s soon to be released Digital Wallet. Already, 409+ suppliers and providers are currently on the platform ready to support the Synthium lead overhaul of the Healthcare Supply Chain Management Industry. The ability to control the supply-chain will lower costs while streamlining the flow of commerce. • Manufacturers can “Go Direct” and reduce operational costs, gaining faster two-way communications. • Ability of manufacturers to interact with customers for feedback and ratings to fuel product innovation/improvements. • Reporting and Analysis tool to help suppliers gain a better understanding of strategies that work and those that don’t in order to make better, informed decisions. • Content Management to showcase and manage products and services for manufacturers. • Private blockchains and inter-enterprise networks for improved security and end-to-end visibility. • Digital commerce for automating the processes of orders, inventory management, billing and haggle-free settlements for the provider institutions. • An in-depth discussion on all of the features can be viewed on the Synthium website. NEWS FLASH……..Synthium has launched an Early Bird Special for those people who do not procrastinate….Limited offer ends 27th Sept, 2017 at 2:30 pm EST. Early adopters can realize 30% savings right now. Full details here.